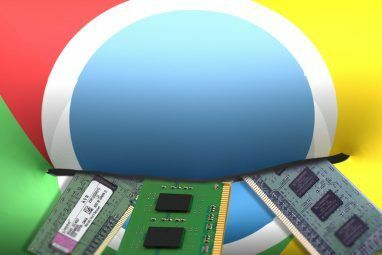 With all the extensions available for Google Chrome The Best Chrome Extensions The Best Chrome Extensions A list of only the best extensions for Google Chrome, including suggestions from our readers. Read More , it can be tough to decide which ones to install. And with so many from unknown third parties, you might be overly cautious. 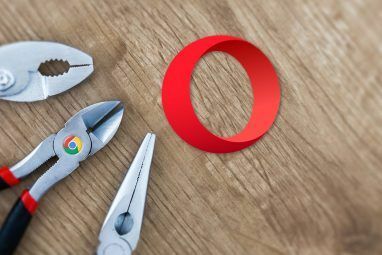 If you want to play it safe, go right to the source — and who better to provide Chrome extensions than Google? From useful to unique, here are the best Chrome extensions direct from Google that you need. If you keep a close on eye on your Gmail inbox 6 New Free Gmail Extensions for Chrome You Need to Install 6 New Free Gmail Extensions for Chrome You Need to Install If you use the mighty combination of Google Chrome and Gmail, there are some new browser extensions you need to check out. Read More , then the Google Mail Checker is the extension for you. This basic button simply shows the number of unread emails in your inbox in your toolbar. You can also click the button to open your Gmail. For the fastest way to email a link to the page you are visiting, check out Send from Gmail. When you hit the button, a pop-up window will display for your Gmail account. The window contains a composed email with the subject line as the name of the page and the URL within the body. All you have to do is add your contact and click Send. The Google Hangouts extension gives you an easy way to start a conversation. Click the button in your toolbar and a small Google Hangouts window will open. Pick up a previous chat, start a new one, make a phone call, or initial a video call. You can also adjust your status, change your notifications, and alter the Google Hangouts app settings. If you do not have Microsoft Office installed on your computer, but need to open a file, then you need the Office Editing for Docs, Sheets & Slides extension. Just drag the file onto your browser window and it will open in a related application. For example, an Excel file will open in Google Sheets for you to view and edit. You can then save the file to the new format or its original one. Save to Google Drive allows you to quickly save the current page, a document, or an image to your Google Drive account. To save a page, just click the button in your toolbar while visiting. For other items, open your context menu by right-clicking and then select the Save to Google Drive option. For finding similar images to the ones you see, install the Search by Image extension. Then, when you spot an image on the web, right-click to open your context menu and select Search Google with this image. A new tab will open with your search results which not only includes similar images but also matching web pages. Maybe you are browsing an online store, reading a blog, or doing research and would like comparable options. Google Similar Pages provides you a list of pages like the one you are visiting. Click the button, view the list, and then select one to head to the site. Sometimes you need a translation fast, so the Google Translate extension is a handy tool. 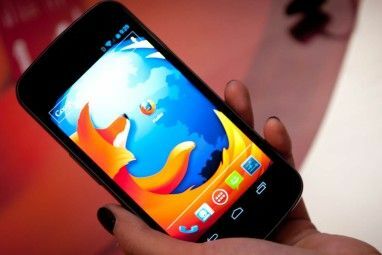 To translate an entire page 10 Top Browser Tools To Translate Web Pages 10 Top Browser Tools To Translate Web Pages Almost half of all the Internet is inaccessible unless you're fluent in multiple languages. So what are the best tools for translation? These ones. Read More , just hit the button in your toolbar and click Translate This Page. The page language will then automatically change to your default dialect. For individual words and phrases, use your mouse to highlight them, right-click, and pick Google Translate from the context menu. You can also click the toolbar button to translate what you highlight. When what you really need is to type in another language, Google Input Tools is awesome. After installing the extension, click the button in the toolbar and select Extension Options. Then, choose the languages and input tools you want to use. Now when you visit a spot where you want to type in a selected language, click the toolbar button to enable the tool and that’s it. For those who are color blind, what they see on web pages can be troublesome. Google solves this problem with the Color Enhancer extension. When you visit a site, click the button and select the color scheme that works best for you. Pick the theme from three options and use the sliders to adjust it to your liking. If you are a student, then you might already be familiar with Google Scholar and this extension gives you a short cut to it. For searching academic journals How to Find High-Quality Academic Papers With One Search How to Find High-Quality Academic Papers With One Search An academic search engine is a must for every student or researcher, and now there's an alternative to Google Scholar. Read More , books, technical reports, and more, just hit the button in your toolbar. The Google Scholar search box will appear in a small window, so just enter your word or phrase and you are on your way. This is a real time-saver when you are doing research because you no longer have to open the Google Scholar site for help. Ideal for office workers, school classes, students, or families wanting to get on the same page is Google Tone. This cool tool lets you broadcast the page you are visiting to computers nearby. When everyone has the extension installed, just click the button when you want to send them your current page. You will hear a beeping tone while the link is being sent and then the others will receive a notification. Then, just click to open it and you can all visit the page together without emails or instant messages. If you are a Google Earth fan, then why not see a new, spectacular image every time you open a tab? This is exactly what the Earth View from Google Earth extension does. You can view images from previous tab openings, download a photo as wallpaper, or open the gallery for more great shots. Prefer amazing photos of artwork in your new tabs over pictures of Earth? Google Art Project places a piece of art into your new tab each day with a brief description, the artist’s name, and applicable gallery. While the image is the same with each new tab you open, you will see a different one every day. Something unique from Google is the Mindful Break extension. You can configure the tool to remind you to take a break at your chosen time. Set it for a number of hours, a specific time each day, or use the random reminder. You can also decide how to receive the reminder with a badge icon, browser notification, or bell sound. The extension has an option to begin a breathing exercise and go into fullscreen mode for complete focus. Just click the button and relax. 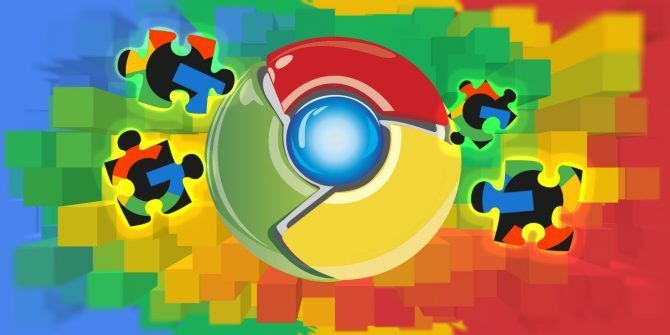 This is just a short list of the Chrome extensions 15 Can't-Miss Chrome Extensions for Productivity 15 Can't-Miss Chrome Extensions for Productivity Today we bring you a few more essential extensions geared toward helping you work better online. Read More available from Google. You can find many more by searching the Chrome Web Store. If you have a favorite, whether for function or fun, feel free to share it along with what makes it attractive to you in the comments below! Explore more about: Browser Extensions, Google, Google Chrome. MuteTab - Finally control what tabs are muted and even better JUMP right to noisy tabs. Personal Blocklist - To hide certain URL results in my google web results. Filter out the junk/adware/redundant/web 'services' sites that come up with nearly every web search now esp. if you search a domain name. Does not seem to slow down searches as 100 results still come through in second. .
Voice Instead [TTS aka TXT2Speech] - Useda use SpeakIt but it couldn't read longer text blobs and had some strange timing/pausing issues. "15 Chrome Extensions by Google You Didn’t Know You Needed "
If you didn't know you needed them, you didn't and don't. You beat me to this. The information is fantastic..but i need to experience my self before and then i made my final comment. If Google would see what is typed instead of wanting to take on the job as editor,physic,seer then so much time would be saved and these extensions wouldn't be needed.